This ThunderBay 6 24TB 6-Bay Thunderbolt 3 RAID 0 Array from OWC / Other World Computing is pre-configured with six 4TB 7200 rpm drives set up in RAID 0 for performance via SoftRAID XT software. With two Thunderbolt 3 port featuring transfer speeds of up to 40 Gb/s, it's suitable for a wide variety of workflows such as video and photo editing, audio production, and much more. Its sustained performance is rated at up to 1500 MB/s. 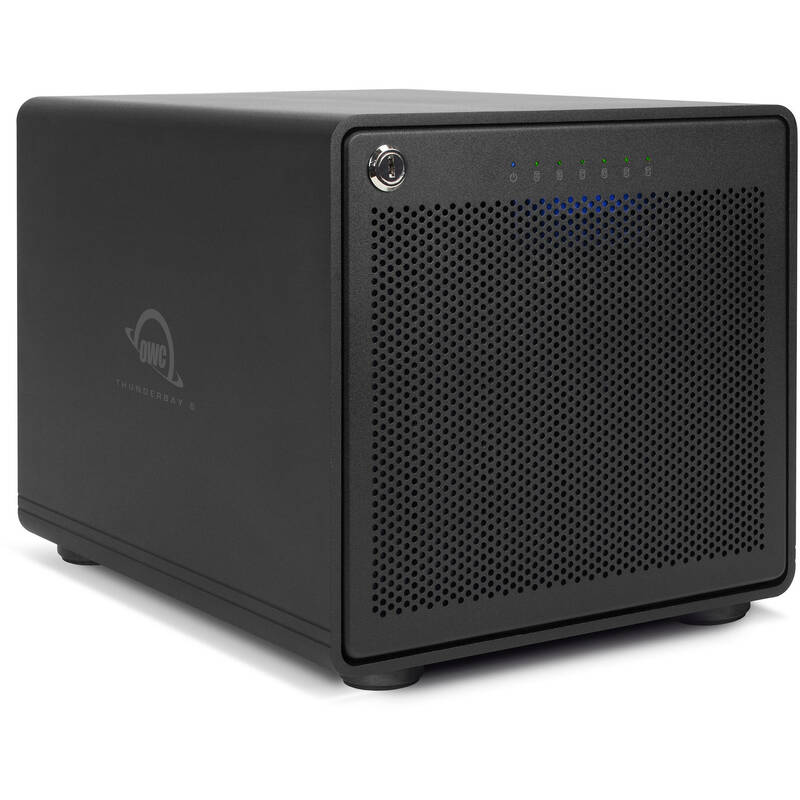 If needed, Thunderbolt 3 connectivity also supports daisy-chaining with up to six devices as well as DisplayPort-equipped displays. Using the SoftRAID XT software, you can reconfigure these drives from RAID 0 to alternate configurations including RAID 1 and JBOD. For improved performance, you can install an optional NVMe M.2 SSD. The NMVe protocol offers improved efficiency, suitable for the fast transfer rates of SSDs. Box Dimensions (LxWxH) 16.9 x 13.3 x 6.3"